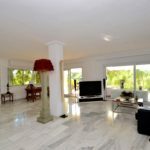 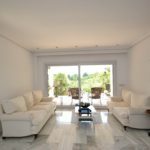 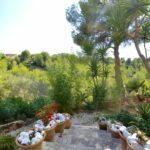 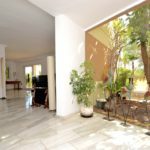 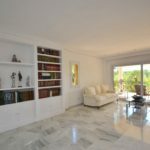 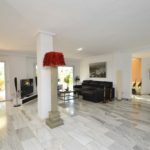 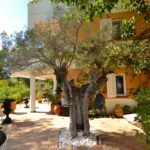 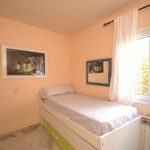 The property offers an impressive and grand entrance, with floor to ceiling windows looking into the garden and a feature olive tree. 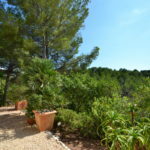 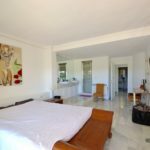 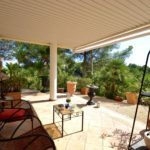 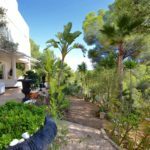 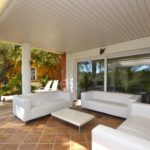 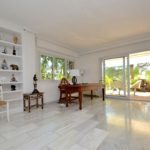 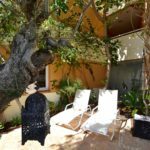 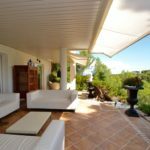 To the left of the entrance, presents a super lounge diner which leads onto a private terrace with outstanding views on to green trees and attractive gardens. 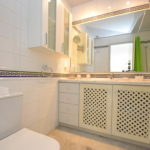 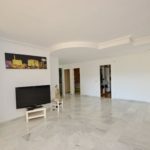 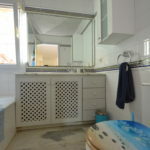 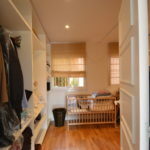 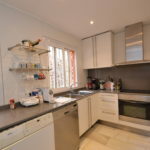 The kitchen and one bedroom and one bathroom are also featured within this space, which would originally have been one apartment measuring 105 M2. 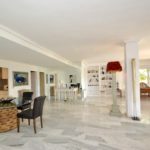 To the right of the feature entrance, lies a second large lounge, three bedrooms and a second bathroom. 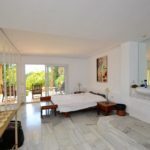 The master bedroom with an ensuite bathroom, also overlooks the lush gardens, with its own terrace. 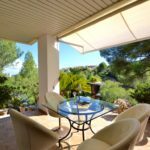 Bendinat golf is a prestigious area, set in a mountain side, with breathtaking views and only a short 15 minute drive from Palma centre. 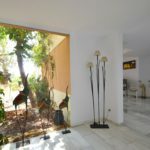 ← Bar in the Heart of the Old City of Palma Mallorca – Prime Location!